On March 24 at 8:30 pm, everyone is invited to take part in the Earth Hour 2018 and #Connect2Earth, by spending some time away from technology. 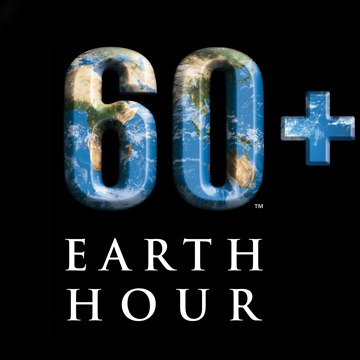 Since 2007, the environmental NGO WWF has been organising the Earth Hour, a global symbolic event, inspiring people to think about the environment and take concrete actions to preserve our planet’s ecosystem. Every year, millions of people celebrate by switching off their lights for an hour, in solidarity with the global efforts to protect nature. In this year’s edition, nature diversity is celebrated. Accelerating climate change and biodiversity loss pose a big threat on our planet. There are multiple ways to take part in this initiative: from hosting a candle-light event, to organising a climate neutral concert or a movie screening. Everyone is invited to "go beyond the hour": from refusing disposable plastic cutlery when ordering takeout, to composting leftover food or switching to a greener energy provider, many small actions together can have a big impact. Cities too can show their commitment towards the planet and make a promise on the Earth Hour website. The Irish Covenant signatory Cork has confirmed its participation to the event and will turn off the lights of its city hall for this year's Earth Hour. All Covenant cities are warmly invited to do the same and share their pledge. By adopting environmental friendly policies and mobilising their citizens in the fight against climate change, Covenant cities too can make the Earth Hour possible!